This book is the first modern account of one of the epic stories of Scottish history: the rise and fall of Clan Donald. 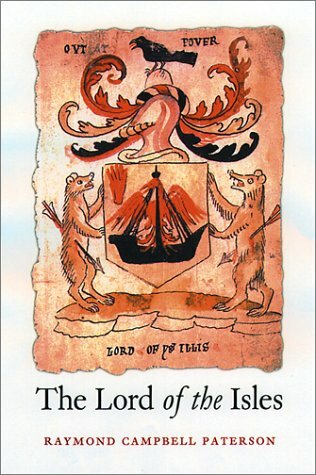 Tracing its origins back to the great Somerled, Raymond Campbell Paterson charts the steady ascent of Clan Donald to the zenith of its power in the fifteenth century, when the Lords of the Isles controlled much of the Hebrides, as well as extensive parts of the mainland, including the vast earldom of Ross. So powerful had the clan become that it was even able to challenge the authority of the Scottish crown at the battles of Harlaw and Inverlochy and plan to partition Scotland with Edward IV of England. Pride was followed by destruction, and James IV finally deposed the last Lord of the Isles in 1493. But under the chiefs of Clanranald, Glengarry, Sleat, Keppoch, Dunyveg and Glencoe, the various branches of the clan, large and small, continued for many years to fight for their own independence and the independence of the old Gaelic world. The former enemies of the house of Stewart, they ended among the last of its defenders. Long vanished as a territorial power, the past glory of Clan Donald continues to be remembered to this day.